Play and discover the natural world with us this summer! Campers will develop outdoors skills, build shelters, paddle the lake, create nature art and explore the forests of Lake St George! A perfect setting for Summer Nature Camp, Lake St. George Field Centre is surrounded by mixed woodlands, open meadows with a beautiful kettle lake making it home for local critters and wildlife. Every day will be an adventure in nature! REGISTER WEEKLY OR FOR MULTIPLE WEEKS AND SAVE. Receive one day of camp free ($56 value) if you register for multiple weeks. Our camp staff have years of experience in a variety of outdoor-based education and camp settings. Our lead camp counsellors are all Ontario Certified Teachers. All camp staff are trained in Standard First Aid/CPR Level C and cleared a Vulnerable Sector Screening with their local police department. 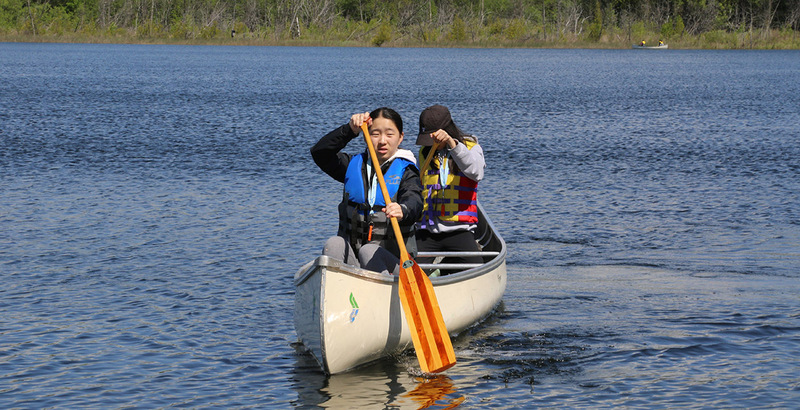 Lake St. George waterfront canoe programs use recreational canoes in a sheltered, small lake setting. Our waterfront programming is led by certified Lifeguards (National Lifeguard Service) and certified canoe instructors (Ontario Recreational Canoe and Kayak Association), with a staff to camper ratio of 1:10. Our waterfront programming is supported by staff with Bronze Cross certifications. All campers must wear a Transport Canada certified personal flotation device (PFD) while on or near the water. Camp activities will run rain or shine, so please be sure to dress your child appropriately for the weather. Lake St. George is a nut-free facility. Create works of art in nature and with nature! Drawing inspiration from the land, we will paint, sculpt, sketch, make music and natural dyes, forest wands and more! Master the essentials of wilderness survival! We will build shelters and fires, learn to safely identify and forage for edible plants, interpret maps, make nature potions, tie knots, and learn how Indigenous peoples traditionally thrived on the land. Explore the ways of the animals at Lake St. George! We will practice our tracking skills, explore different habitats (pond, lake, forest and meadow), and hone our own animal instincts. A week of orienteering skills and exploring in the forest! We will learn to interpret and create our own maps, master the use of a compass and GPS, track animals, and hunt for nature treasures. Come on an adventure with us this March Break! 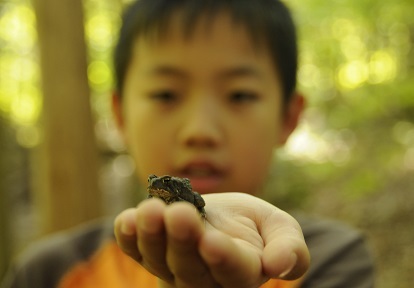 Campers will explore and learn about nature through active play, discovery and skill building. We will play games in the forest and have fun orienteering, tracking, creating nature art, making shelters and building a fire! A perfect setting for an outdoor March Break Camp, Lake St. George Field Centre is surrounded by mixed woodlands, open meadows and a beautiful kettle lake making it home for local wildlife populations. Every day will be an adventure in nature! For ages 6 to 12 years. Register for individual days or book the whole week and save! Optional healthy, warm lunch available. All of our staff are Ontario certified teachers (OCT) who are trained in Standard First Aid and CPR. 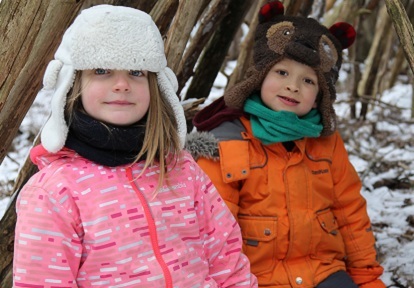 Camp activities will run snow or shine, so please be sure to dress your child appropriately for the weather. Lake St. George is a nut-free facility. * Each day includes milk, fresh fruit and a treat. Allergies and dietary restrictions are accommodated. This camp is completed for 2019. See you next year!